The 2018 Grand Marshal Experience will be hosted at the Seminole Hard Rock Hotel & Casino. 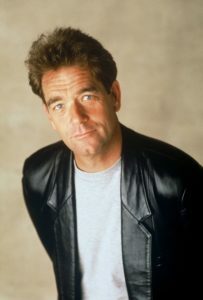 This Winterfest Celebration welcoming our Grand Marshal Huey Lewis includes dignitaries and celebrities who join us at the Seminole Hard Rock Hotel & Casino to celebrate, Winterfest style. RECEPTION BY INVITATION ONLY. 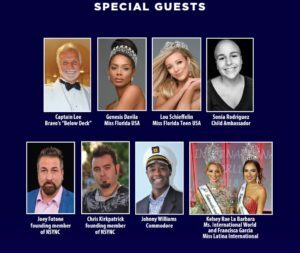 Captain Lee, Miss Florida USA, Miss Teen USA, Joey Fatone, Chris Kirkpatrick, 2018 Commodore Johnny Williams and Miss Latina Internationals. This fabulous reception presented by JM Lexus is the prelude to the parade. 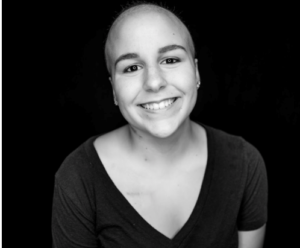 Many local VIP’s, dignitaries, sponsors will be on hand to welcome this year’s celebrity Grand Marshal. Fort Lauderdale’s Mayor, Dean Trantalis, will give the Grand Marshal a key to our beautiful city and Riverwalk, Inc. will present a brick in his/her name(s) for the Riverwalk Celebrity Walk of Fame on the banks of the staging area of the Parade. Please view photos of our past parade Grand Marshals Big & Rich, PITBULL, Flo Rida, Deborah Norville, Barry Gibb, Brooke Burke, Kim Kardashian, Alonzo Mourning, Jim Belushi, Lorraine Bracco, Frankie Valli, Randy Jackson, Shaquille O’Neal, Ryan Hunter-Reay, and many more on our Facebook page. This is a private reception to honor our Grand Marshal. Become a Sponsor – Get Invited! SPONSORSHIPS are still available with this event. Subscribe to our posts, newsletter and join 4,596 other subscribers.